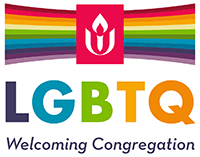 When using the website of the Aiken Unitarian Universalist Church (AUUC), you agree to the terms and conditions listed on this page (the “Terms and Conditions”), which may be updated by us from time to time, this version you are reading was posted on 25 August 2017. AUUC may provide, and third parties may provide, links to other websites or resources. Because AUUC has no control over such sites and resources, you acknowledge and agree that AUUC is not responsible for the availability of such external sites or resources. You also acknowledge and agree that AUUC does not endorse and is not responsible or liable for any content, advertising, products, or other materials on or available from such websites or resources. You further acknowledge and agree that AUUC shall not be responsible or liable, directly or indirectly, for any damage or loss caused or alleged to be caused by or in connection with use of or reliance on any content, goods or services available on or through any non-AUUC website or resource. You agree not to: (1) modify aikenuu.org, (2) publish, display, disclose, rent, lease, modify, loan, distribute, or create derivative works based on aikenuu.org or its documentation or any part thereof without the express written permission of AUUC, (3) remove, obliterate, or cancel from view any copyright, trademark, confidentiality or other proprietary notice, mark or legend appearing on aikenuu.org, (4) reverse engineer, decompile, translate, adapt or dissemble aikenuu.org, nor shall you attempt to create the source code from the object code for aikenuu.org without the express written permission of AUUC or (5) assign the license for the Service. All materials posted on this site, unless otherwise identified, are owned by Aiken Unitarian Universalist Church and subject to copyright. The names, trademarks, service marks, and logos of AUUC appearing on this site may not be used in any advertising or publicity without our prior express written permission. Email requests here. Aiken Unitarian Universalist Church attempts to maintain the highest accuracy of content on its website. Any errors or omissions should be reported by emailing our office. Web addresses at our site may change periodically because information has been moved, deleted, or reorganized. When this occurs, the old addresses are no longer accurate. When you encounter an old address, you will get a Page Not Found (404) screen. It will provide you with several ways of finding out about the missing page, such as contacting the AUUC office administrator or directing you to the Site Map. This website contains hyperlinks to websites operated by parties other than AUUC. These external hyperlinks are provided for your reference only. The AUUC does not control such websites and is not responsible for their contents. The inclusion of hyperlinks to other websites does not imply any endorsement of the material on these websites or any association with their operators. Please let us know about existing external links which you believe are inappropriate and about specific additional external links which you believe ought to be included.